← 4 Bed 4 Bath Log Cabin Home w/ Unobstructed Mountain Views In Our Newest Virtual Tour! 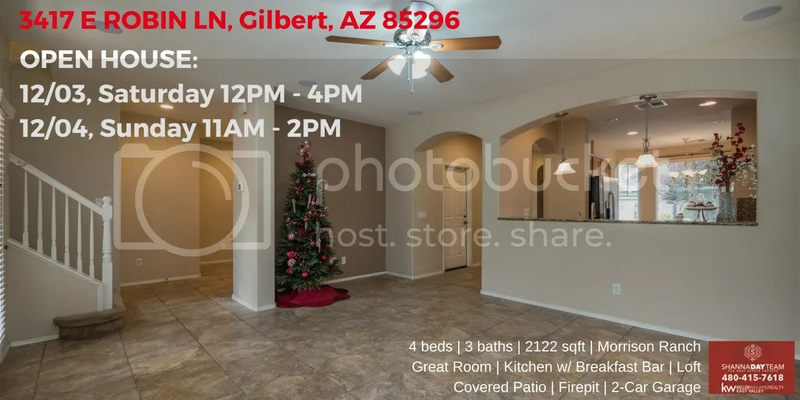 OPEN HOUSE: 12/03, Saturday 12:00 P.M. – 4:00 P.M.
12/04, Sunday 11:00 A.M. – 2:00 P.M. 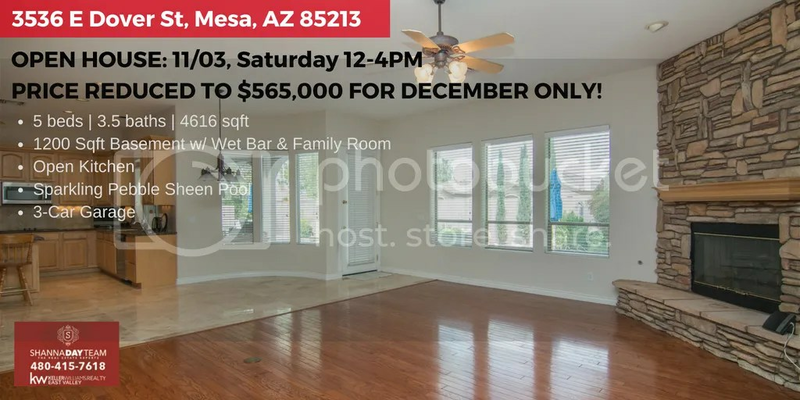 This entry was posted in AZ Attractions, AZ Events, AZ Homes with Pools, AZ Real Estate, AZ Realtor, East Valley, East Valley Realtor, Gilbert AZ, Investment Properties, Investor, Listings, local az events, Mesa AZ, Mesa AZ Realtor, Morrison Ranch and tagged arizona real estate, arizona realtor, az basement home for sale, East Valley, gilbert az homes for sale, hidden groves homes for sale, keller williams, kw realty, mesa az homes for sale, morrison ranch homes for sale, open house. Bookmark the permalink.